Lakeville, CT – In what is a first for a Northeast U.S. motorsports venue, starting this month Lime Rock Park is offering Winter Autocross Days. Lime Rock now has large-capacity snowmaking and grooming equipment and has scheduled Friday and Saturday winter autocross events open to any licensed driver. No winter driving experience is necessary. “First and foremost, driving hard and getting ‘slideways’ in the snow is simply a whole bunch of fun,” said Lime Rock lead winter driving coach Stephan Bastrzycki. “Who hasn’t booted the tail out or hand-braked their car in a snowy parking lot somewhere? “You don’t have to have any previous experience. Doing this under the watch of our instructors on Lime Rock’s autocross course, not only is it fun, thrilling and very safe, but you cannot believe what you learn with regard to what we call ‘car control skills’ which will make you a much better, safer driver, whether on snow, ice, in the rain or in the dry,” Bastrzycki continued. 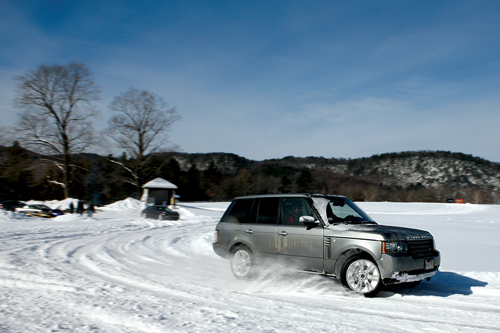 The Winter Driving events – some people call them “snowcross” or “WAX” (winter autocross) – are held on Lime Rock’s 1,200-foot autocross course in the upper infield area. Three or four cars are sent out at a time, with appropriate spacing between each vehicle; there is no racing involved. A luxury chalet provides a warm respite for restroom breaks as well as snacks, coffee, hot chocolate and beverages. A bonfire will be going at the autocross staging area, too. Lime Rock’s Winter Autocross facility is the direct result of requests by the members of the private Lime Rock Drivers Club (LRDC). One of its newest members, realizing he could help bring this to fruition, connected us with the right experts and equipment to make it happen. 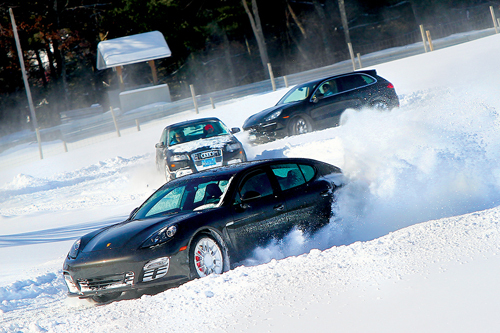 The Winter Autocross facility was created primarily for the Lime Rock Drivers Club, which has graciously opened it up for non-members between the private LRDC days. The winter autocross developed out of the success of Lime Rock’s Open Autocross Days (including a season-long series championship) held April through November. The 2013 and 2014 Open Autocross seasons saw more than 500 drivers – from teens and seniors to track-day enthusiasts and race car drivers – experience the fun and excitement of driving as fast as they can in a fun, safe environment. 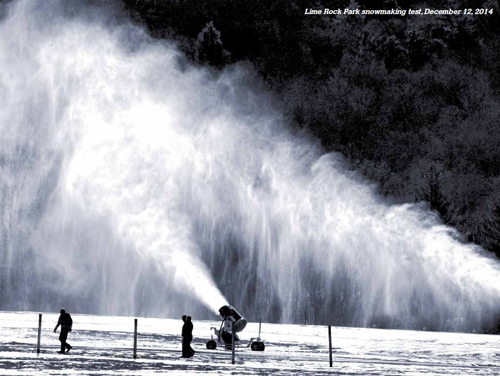 Now anyone can do it all winter long thanks to schedulable, weather-independent snowmaking at Lime Rock Park. The cost is $300 per driver and includes coaching from professional winter driving instructors. Reservations and purchases of Open Enrollment Winter Autocross can be done online. 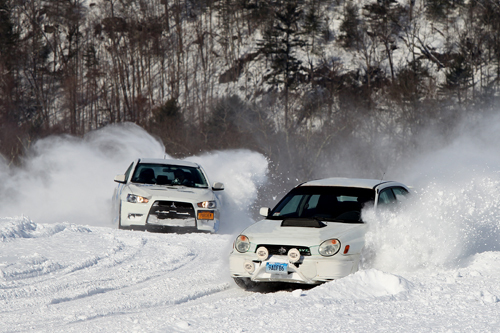 Questions can be directed to the Winter Autocross specialists at 860.435.5000. All photography by Casey Keil and Rick Roso at Lime Rock Park.